There is a symbol that has evolved from a pound side into a powerful tool that connects audiences on social media platforms: the hashtag. 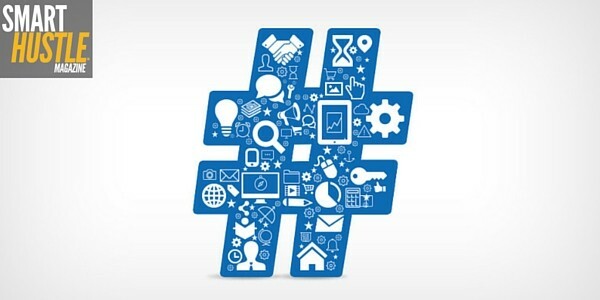 Hashtags help grow a social network, allow people to converse with a diverse audience, and increase online visibility. They also allow small businesses to play on the same level as the big guys...if they know what they are doing! The use of hashtags across social media may seem obvious, but knowing how to use them strategically is what you really need to know. For example, tweets with hashtags get twice as much engagement as those without them. It’s so important to use them –and use them correctly -- so they can act as an excellent brand-building tool for your small business. One great thing hashtags can do is help you grow and communicate more effectively with your online community. When you use hashtags to build your brand, you don’t have to stick to hashtags that you personally have created. Share posts with hashtags that apply to your company so you can keep up with conversations and trending topics. Remember not to use hashtags that are irrelevant to your brand just because they are trending unless you can find a way to integrate it into your brand message. Hashtags also allow you to extend the reach of posts by giving you access to content that others post. When your audience participates in your marketing efforts by replicating your specific hashtags, you can re-purpose the content on your own social media pages. Your customers will love to see themselves put in the spotlight by your brand – and through using their content, you will generate a stronger presence on social media and reinforce the relationship you have with your customers. ♥ these 3 tips for using #hashtags in your #business to be more competitive! You can use original hashtags in different ways. Small businesses may decide to develop their brand under just one hashtag. The brand-specific hashtag will partner with all tweets or social media posts that come from that business, which makes it simple for customers to engage with the brand. A second way small businesses can utilize hashtags is to improve their marketing campaigns. Create a specific hashtag for the campaign to allow you to follow pertinent conversations and encourage people to join in your campaign. Businesses sometimes offer incentives for customers who use their hashtags online, such as a giveaway – this is one of many easy Instagram marketing ideas you could use. This strategy is effective because it promotes consumer action and exposes people to your products. There are many marketing strategies that can help your business thrive. One is to take full advantage of hashtags and how they can help you: hashtags allow small businesses to track the success of social media campaigns and efforts. Online hashtag tracking tools are simple to use and provide accurate basic analytics, plus most services are free of charge unless you desire more in-depth reports. A few of the most popular hashtag analytic tools are RiteTag, Sprout Social, Keyhole, and Postano. The tools encourage people to use hashtags to their full potential and really make the most of each and every hashtag they share. As your small business works to harness the hashtag, remember what it can do for you: send a message across multiple platforms quickly. Hashtags are the golden ticket to help your small business be one of the big dogs when you use them correctly. How will you start effectively using hashtags as a powerful marketing tool? Share with us in the comments below!